Conor McGregor is back at it. 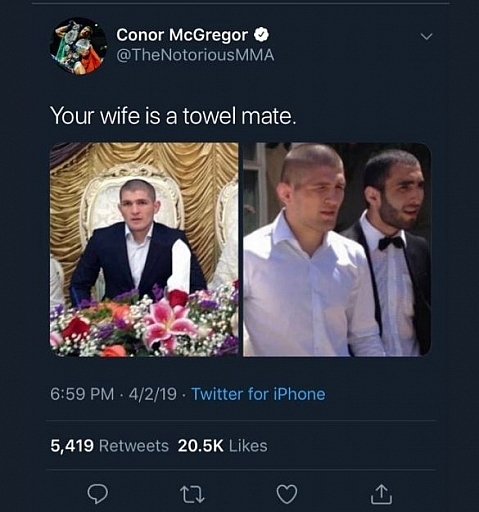 Following the aftermath of his racist tweet aimed at Khabib Nurmagomedov's wife which he quickly deleted. I am aware of the recent social media exchange between Khabib Nurmagomedov and Conor McGregor. The ongoing situation has escalated to a level that is unacceptable. As such, we are taking the necessary steps to reach out to both athlete camps and this situation is being addressed by all parties internally. This possibly might have prompted Conor McGregor to post a tweet, which possibly could be very cryptic but surely did not include any apology for his actions. 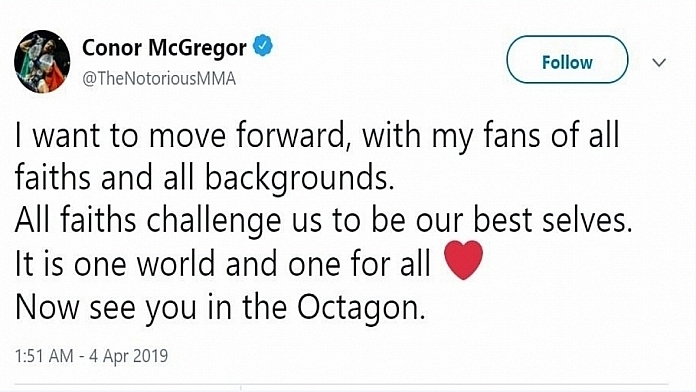 He ended the tweet with "Now see you in the Octagon". This could be construed as either he will face Khabib Nurmagomedov in the Octagon or will watch him fight someone else in the Octagon if you think about it. Fans on Twitter did not know how to quite take this as well. As many have previously predicted, that the retirement he announced last week, might just be another one of his publicity stunts as we pointed out here. This tweet is almost as bad as that motivational hockey speech he gave.